The 2013 Indigenous Australian Engineering Summer School (IAESS) was held in January at the University of Sydney. 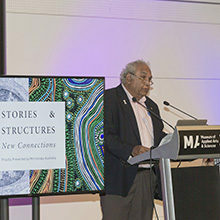 It provided Aboriginal and Torres Strait Islander students from high schools around Australia with the opportunity to experience the excitement and breadth of engineering studies and careers. 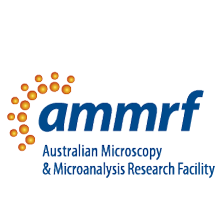 Deputy Director (Materials) of the AMMRF at the University of Sydney, A/Prof. 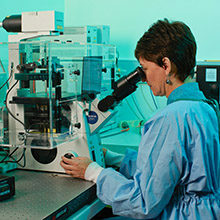 Julie Cairney, gave the group a chance to get hands-on with some of the sophisticated AMMRF instruments that are playing a fundamental part in shaping the engineering materials of the future.